It could be a season of special editions as far as smartphones go. Its Xiaomi coming out with Xiaomi Mi MIX 3 Palace Museum Forbidden City Edition and the phone could make a public appearance anytime soon. Xiaomi has already released the mainstream flagship Mi Mix 3 in its home country but this special edition sighted on Geekbench has some higher specifications as expected. For starters, as the Geekbench report indicates, the RAM on this Xiaomi Mi MIX 3 Palace Museum Forbidden City will be as high as 10 GB, not your run of the mill 4 GB and 6 GB you come across with the regular smartphones and the internal storage is likely to be 256 GB, again, taking a leap from the routine 128 GB you are used to. The other specifications may have to wait till Xiaomi makes the official announcement including the exact date in December that the phone will be launched and shipped and its price etc. The latest octa core Qualcomm Snapdragon 845 Soc is the processor chosen for this special edition phone, just like its regular variant Mi Mix 3. 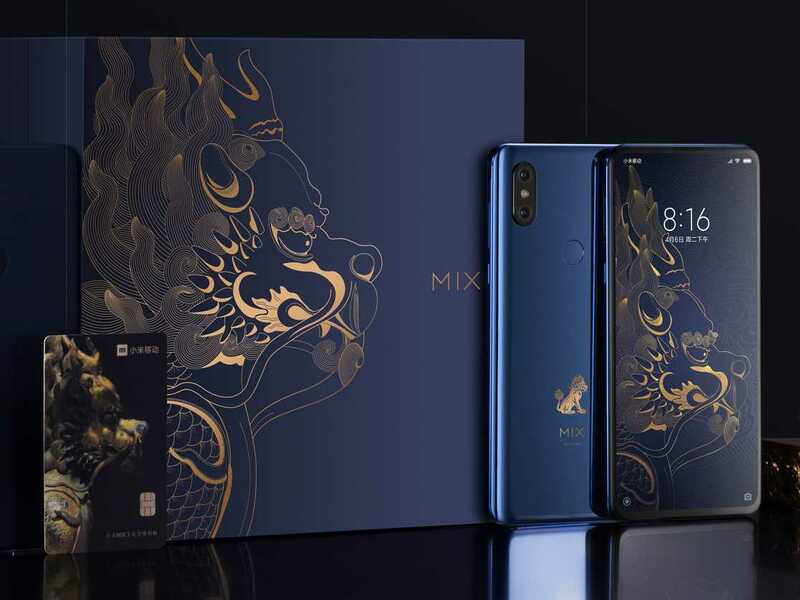 Xiaomi has chosen to use the motif for this Xiaomi MIX 3 The Palace Museum Edition, a golden figurine or statuette that appears on the famous ceramic vases which one gets to see in the Palace Museum, in the Chinese capital Beijing. Or possibly auctioned off as antiques very rarely. It has a distinguished blue color, different from the regular blue colors. The vases are attributed to one of the dynastic rulers of China before the revolution that turned the country towards communism. Xiaomi appears to have commissioned a unique case for the phone too that will form part of the retail pack and customers could flaunt their new Xiaomi MIX 3 The Palace Museum Edition phone. That’s precisely what special editions are meant for, whether it is an automobile or a smartphone. One does not know the kind of pricing that Xiaomi has in mind for this phone, but, by the looks of it, the price will be higher than the Mi Mix 3 model. Rumors indicate it could be around CNY5,000 or $700 approximately.